When you visit the office of Camarillo Dentist Derek K. Carson, your smile and comfort is our top priority. Our entire dental team is dedicated to providing you with the personalized, gentle care that you deserve. Yes!!! We cater to patients who are afraid, nervous, or just plain prefer to be asleep when getting their dental treatment. We can accomplish this with the proper level of sedation for you. You do not need to be afraid of the dentist here I promise. 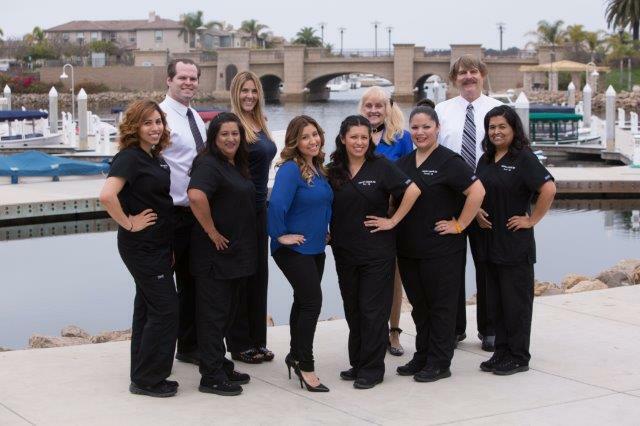 Our two family dental offices have been serving the city of Camarillo, Oxnard and the surrounding Ventura community for over 40 years now. Our Camarillo dental website here is a resource we hope you’ll find both useful and interesting. If you have any other dental questions feel free to contact our Camarillo or Oxnard dental practice at 805-987-1711. Contact our Camarillo Dental Office Today! We hope this site is helpful to you in learning more about our Camarillo dental practice, dental conditions and treatments, dental recommendations, and more. We have 2 convenient dental locations available to our patients here at Spanish Hills Dentistry in Camarillo and Carson and Carson Dental in Oxnard (www.carsondds.com). Whether you are looking for a Cosmetic, General, Implant or a Sedation Dentist in Camarillo Dr. Carson and his dental team are ready to provide you with the personalized care you deserve in a comfortable pain-free environment. Derek K. Carson, DDS is a professional dedicated to excellence in cosmetic dentistry such as dental makeovers, veneers, and crowns. His office is located in Camarillo, California and serves patients in surrounding cities of Oxnard, Newbury Park and Thousand Oaks. Please come and visit Camarillo dentist Derek K. Carson.